Happy Friday!! I hope you've had a fabulous week! Today I have a super cute card I created with a digital stamp from Craftin Desert Divas. 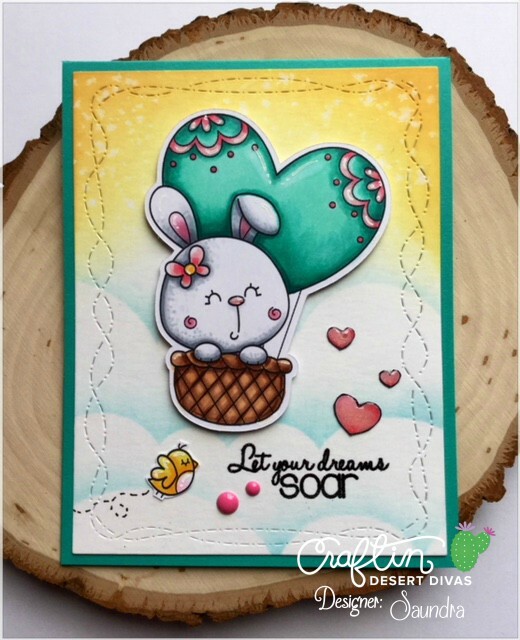 I used the Bunny Heart Balloon digital stamp for this project. 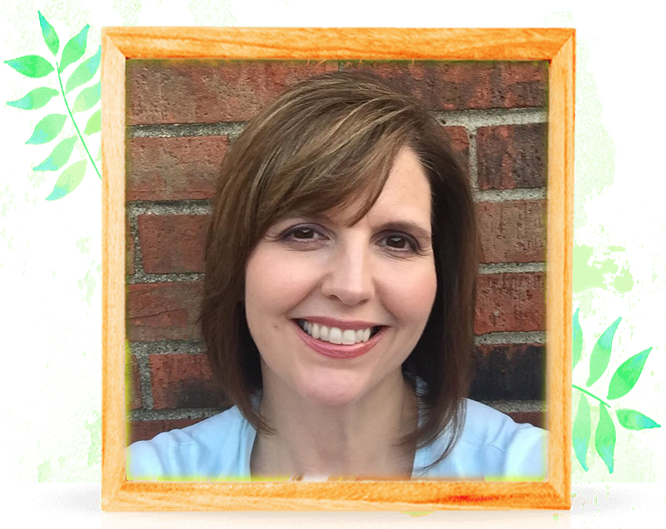 It was so easy to resize and use only the elements I wanted using my Silhouette Designers Software. I colored all the images I wanted and cut it out. I attached the images to my background, popping up my balloon. For my background, I created stencil with CDD Stitched Scallop Dies and inked some clouds on my background and added some yellows for sunshine. I used Distress Oxide Inks in Broken China, Fossilized Amber, and Spiced Marmalade. Once I was happy with the background I cut it out with CDD Crazy Stitched Frames. 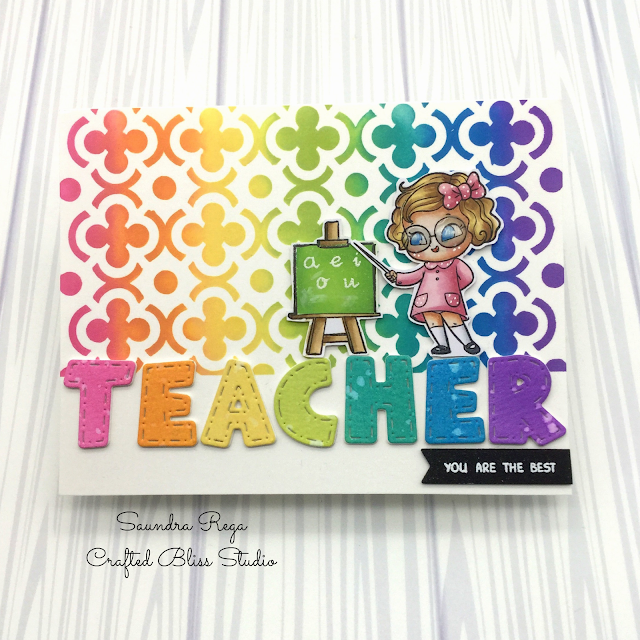 The sentiment is from CDD Happy Thoughts Stamps. It was stamped then heat embossed. 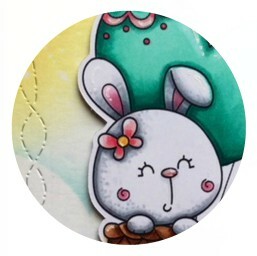 I topped the hearts and the little bunnies nose with some Glossy Accents and added some enamel dots to finish off my card. 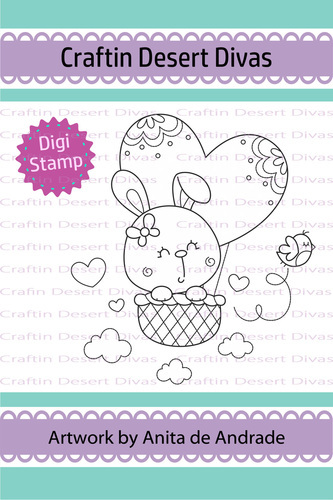 Here is a look at all of the images you get with the CDD Bunny Heart Balloon digital stamp.